Two eggs, toast, jelly, & homemade cheesy hash browns. Choice of three: sauteed garlic mushrooms, bell peppers, beer battered onions, tomatoes, bacon, pulled chicken, ham, pulled BBQ pork or sausage stuffed w/ cheddar cheese. Served w/ a side of toast & jelly. Scrambled eggs w/ Applewood bacon, ham, hash browns & cheddar cheese wrapped in a tortilla shell. Topped w/ fresh pico de gallo & sour cream. Scrambled eggs, w/ choice of meat: chicken, bacon, ham, pulled BBQ pork, or sausage. Topped w/ cheddar cheese and fresh pico de gallo. Served w/ sour cream and our Guinness cheese sauce. Homemade buttermilk biscuits stuffed with scrambled eggs and beer braised onions topped with cheddar cheese and country sausage gravy. Served with syrup. Scrambled eggs w/ hash browns, bacon, sausage and ham, topped with cheddar cheese. Served w/two warm tortillas. Scrambled eggs w/ hash browns, bell peppers, onions, tomatoes, sauteed garlic mushrooms & shredded cheddar. Served w/ two tortillas. Scrambled eggs with tater tots, Johnsonville brat, bell peppers, beer-battered onions, two sunny side-up eggs and topped with homemade Guinness cheese sauce and bourbon BBQ sauce. 12" tortilla, scrambled eggs, hash browns, tomatoes, onions, cheddar cheese, homemade Guinness cheese sauce & your choice of meat: Applewood bacon, pulled chicken, ham, sausage or BBQ pork. Topped w/ fresh pico de gallo & sour cream. 3 slate sticks, 1 kickin' chicken roll, 6 thick fried kosher pickle chips, 1 Applewood bacon jalapeno popper, 4 jumbo wings, 1 Bavarian pretzel, loaded veggie nachos w/ our homemade Guinness cheese sauce & served w/ our favorite dipping sauces. Made fresh and deep fried or steamed with your choice between pork & cabbage or edamame. Asian pot stickers are served with ginger soy sauce. White cheddar and elbow macaroni breaded and deep-fried. Served with homemade honey BBQ dipping sauce. Our Milwaukee award-winning jumbo wings. Choice of kickin' teriyaki, spicy garlic parmesan, spicy buffalo, honey BBQ, bourbon BBQ, garlic parmesan, homemade BBQ dry rub, or sauce of the week. Served with homemade ranch or blue cheese dipping sauce. Choice of seasoned burger, pulled chicken, or BBQ pulled pork. Topped with lettuce, tomatoes, and beer battered onions. Served on a pretzel bun. Fresh white cheddar beer battered and deep fried to a golden brown crisp. Served with homemade ranch dipping sauce. Homemade tortilla chips with pico de gallo, sauteed garlic mushrooms, bell peppers, sour cream, homemade Guinness cheese sauce. Choice of pulled chicken or pulled BBQ pork. Pulled corn beef loaded with sauerkraut and Swiss cheese, wrapped in a tortilla shell and deep fried. Served with Thousand Island dressing. Pulled chicken topped with lettuce, fresh Pico de Gallo, shredded cheddar tossed in our spicy parmesan sauce and wrapped in a flour tortilla. Choice of pulled chicken or pulled BBQ pork, sauteed garlic mushrooms, loaded w/ shredded cheddar cheese, bell peppers, & pico de gallo. Pulled corn beef loaded with sauerkraut, Swiss cheese and thousand island dressing on marble rye bread. 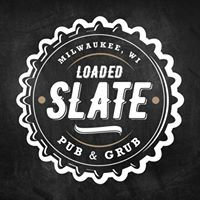 Milwaukee's leading "Best Traditional Chili" competitor 2 years running! Topped w/ shredded cheese, onions, sour cream, and our homemade Guinness cheese sauce. Chef's special of the week. Braised pulled pork, topped w/ country fried onion strings, homemade coleslaw and bourbon BBQ sauce. Our signature-grilled cheese. Smoked gouda, sharp cheddar cheese and sliced dill pickles, piled high on Texas toasted sourdough. 1 lb perch beer-battered and served with toasted rye bread, homemade coleslaw, and potato pancakes and served with tangy citrus tarter sauce. 1 lb tilapia beer-battered or pan-seared and served with toasted rye bread, homemade coleslaw, potato pancakes and served with tangy citrus tartar sauce. Topped w/ sauteed garlic mushrooms, sauteed beer-battered onions, Applewood bacon, cheddar cheese, & our famous homemade Guinness cheese sauce. Topped w/ beer battered onions, country-fried Applewood bacon, sunny side up egg, & Lambeau's cheese curds. Morning Star black bean patty topped w/ your choice of cheddar, provolone, or Swiss cheese. Served with chipotle mayo. Giant beer battered onion ring, Applewood bacon, & cheddar cheese topped w/ A-1 sauce. Classic vanilla shake topped w/ whipped cream& a maraschino cherry. Choice of Sauce: Mayo, "Man" Sauce or Chipotle Mayo.